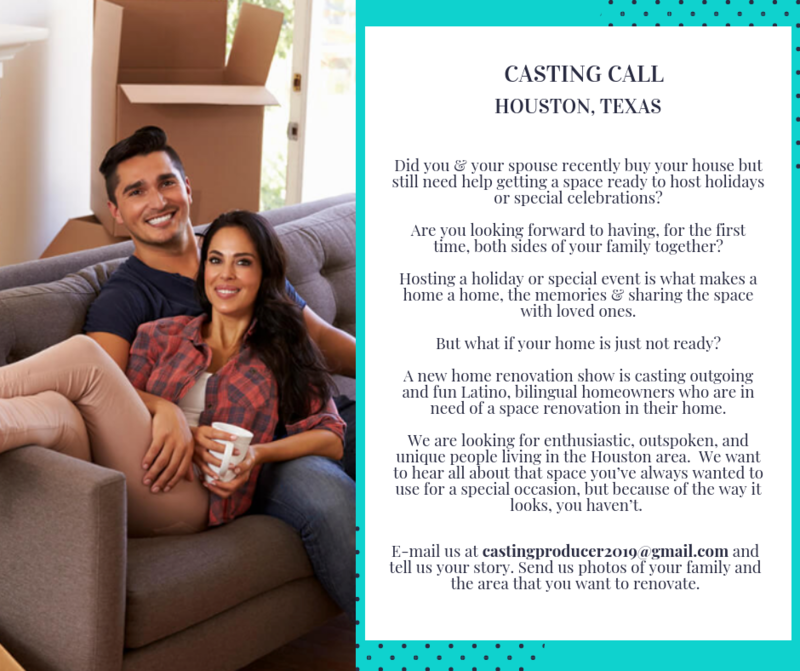 Casting Call in Houston for Latinos who just bought a home. Did you and your spouse just buy a home and need some help getting it ready to host the holidays or any special celebration? If so, reality TV producers may want to hear your story. Are you looking forward to having, for the 1st time, both sides of the family together at your new home? Hosting a holiday or special occasion is what makes a home a home, the memories made when sharing your space with your loved ones and family members. But, what if your home is not yet ready? A new home renovation show is casting outgoing and fun Latino families who really need some help with their home. Please see the casting notice below for more details.